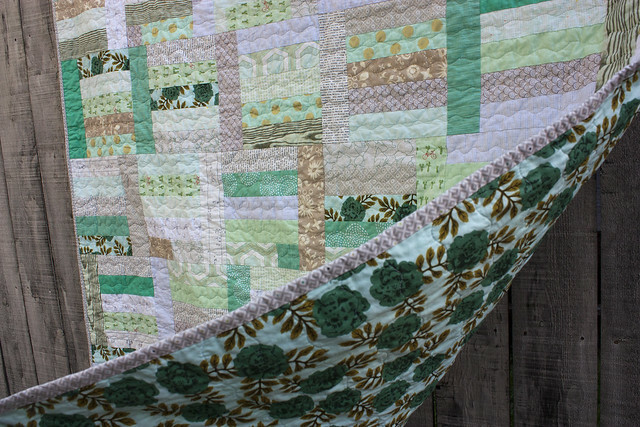 I pulled together these mint green and gold metallic fabrics after being inspired by this quilt by Rita at Red Pepper Quilts. 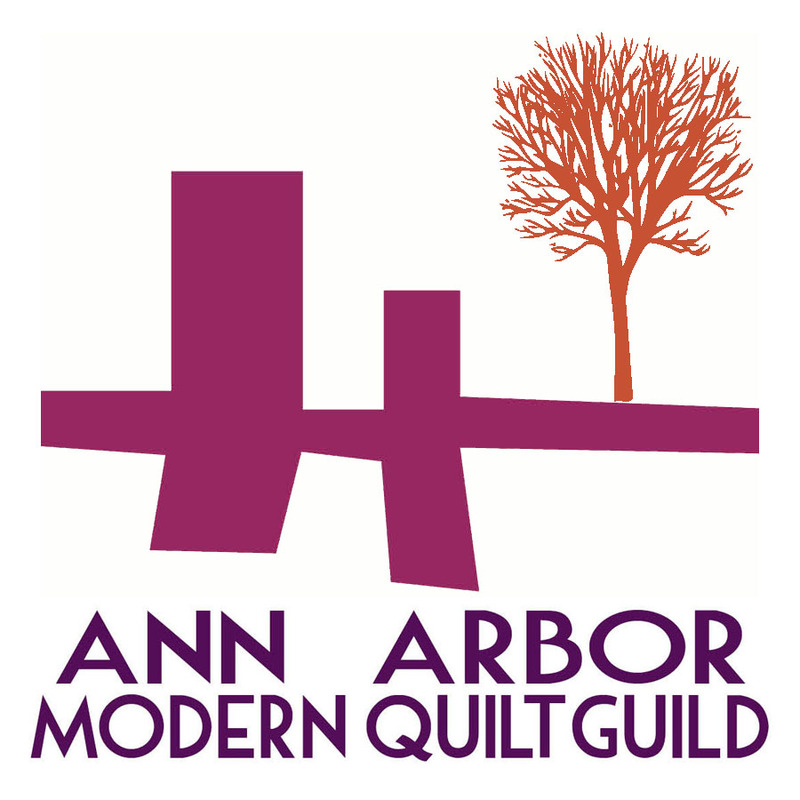 The pattern is from Sunday Morning Quilts. I downsized the pattern to be 6 columns by 7 rows to turn it into a generous throw-sized quilt (60"x70"). Because neither of my sewing machines has the ability to do a large, wavy zig zag stitch (sometimes known as the serpentine stitch), I used the free motion foot to free-hand the wavy lines (thanks to Amanda Jean for the tip!). This was the quickest I think I've ever quilted a quilt (about 45 minutes) and I used less than one bobbin for the whole top. 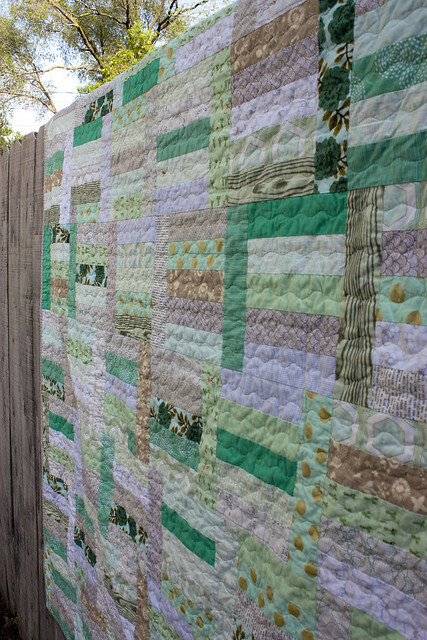 The quilting is not quite as dense as I usually do, but I'm a fan of the vintage look it gives, especially with the fabric combination I used. The Juliana Horner rose backing fabric is one of my favorite prints. 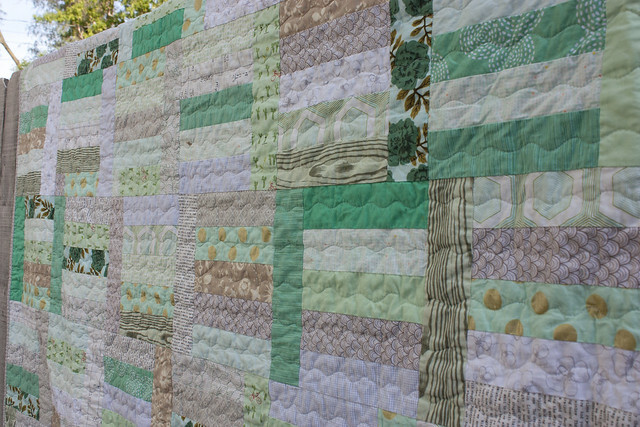 Both this and her orange print (used as a backing on my Rosalie quilt) have drawn me to use more oranges and mint greens this year. 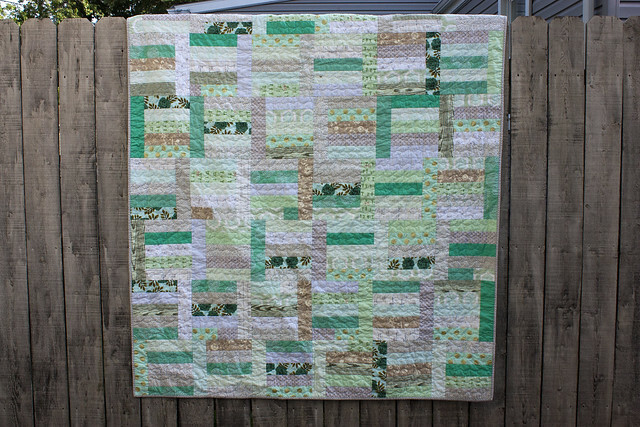 This quilt is a housewarming gift and will be going to its new home soon!